All the four pillars of Indian defense forces Viz. Indian Army, Navy, Airforce and Indian Coast Guard have notified the vacancies for various cadres and Civilian Officer and Other Posts, candidates can apply to the posts as per their educational qualification, other required criteria. If your veins pump up with warm blood, your hearts are filled with patriotism, and you have urge to serve your nation actively, then, we bring you the opportunity to be part of the resplendent and glorious Indian Defence forces. All the four pillars of Indian defense forces Viz. 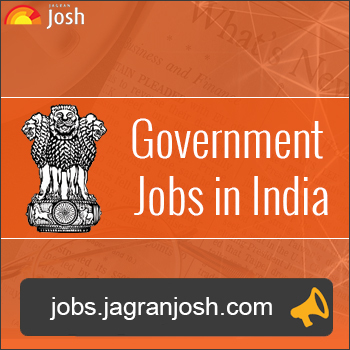 Indian Army, Navy, Airforce and Indian Coast Guard have notified the vacancies for various cadres and Civilian Officer and Other Posts, candidates can apply to the posts as per their educational qualification, aptitude and other required criteria. Indian Army is also organizing Army Recruitment Rallies as part of their recruitment drives at the various regional centers such as at BEG & Centre Roorkee, RRC, Fathegarh, Jammu & Kashmir etc. candidates may walk in for the recruitment rally at the specified venue on the rally dates. Indian Navy too has invited applications for recruitment of 380+ Skilled Tradesman for the Naval Dockyead Mumbai, they will be absorbed under the Western Naval command Mumbai. 10 th pass candidates too have opportunity to serve the nation as Eastern Naval Command, Visakhapatnam has issues notification for the 200+ vacancies for the MTS posts. Candidates should not let go of this chance and avail this opportunity to serve their great nation while fulfilling their career aspirations in their respective fields. For Detailed Notification and other information require to apply for the various vacancies of Indian Defence forces, candidates can check out the link listed below. Indian Navy Jobs, 10th Pass are eligible to apply for Sailor for MR (Musician) Feb 2017 Batch.